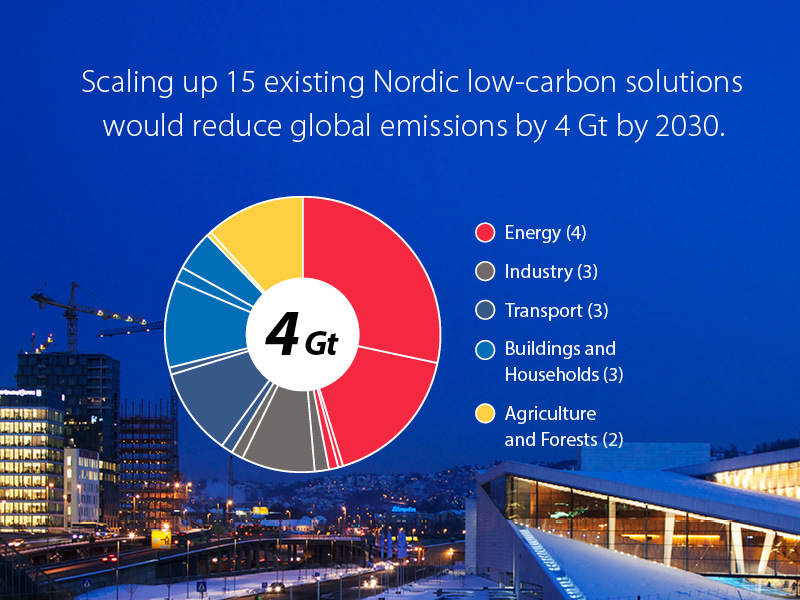 Here is a collection of interesting infographics from our Nordic Green to Scale project. 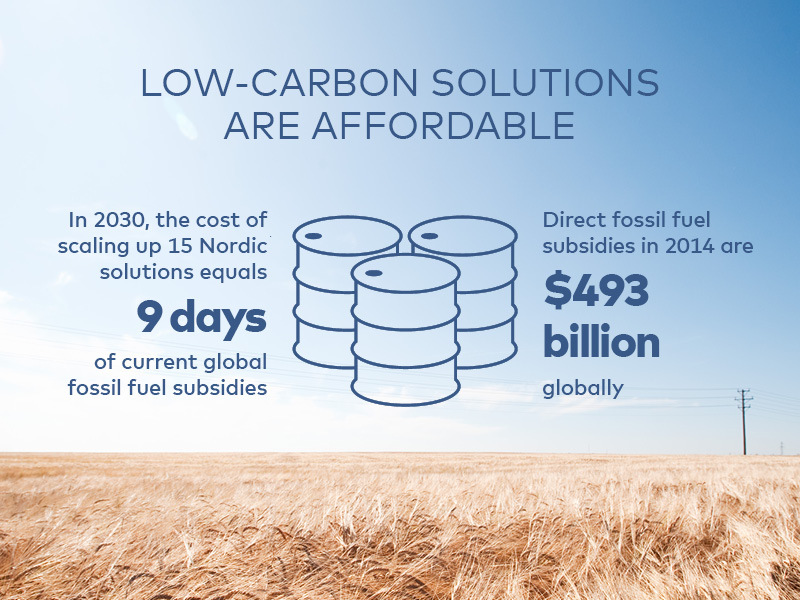 Scaling up 15 existing low-carbon solutions would reduce global emissions by 4Gt by 2030. 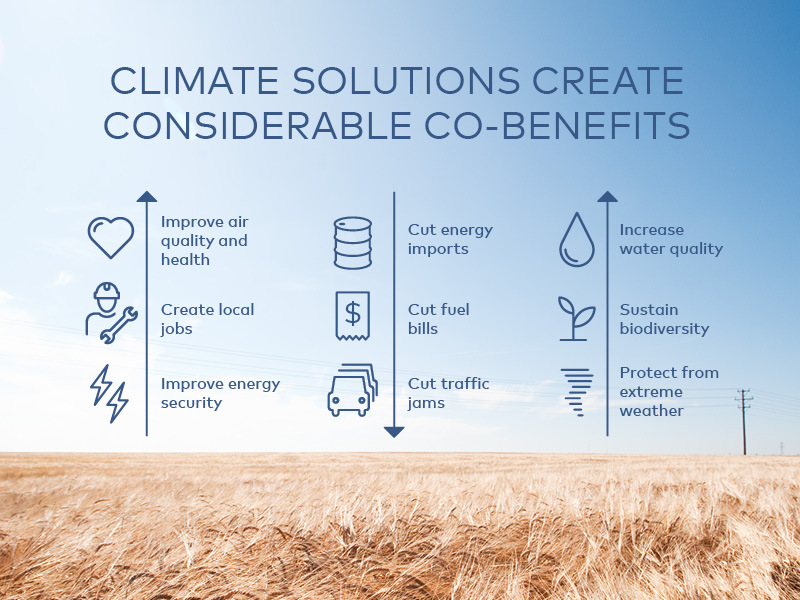 Climate solutions create considerable co-benefits. 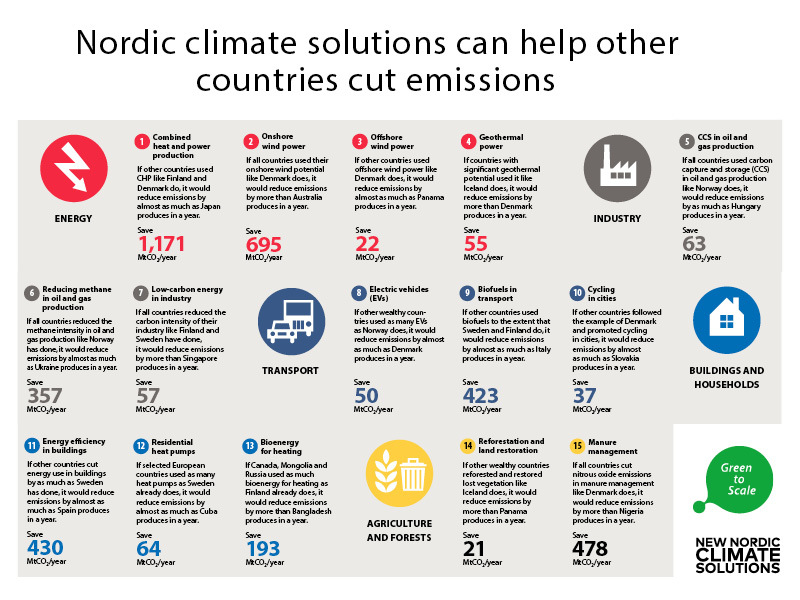 Nordic climate solutions can help other countries cut emissions.